Piece together fabric strips in a whole new way. Pixelated imagery is part of our pop culture-now quilters can bring it to their family with these cheerful quilt designs using their favorite solid colors. Use this unique style of strip piecing to make pictures of friendly fish, dastardly pirates, and beautiful butterflies much more fun! The Quilts in the book are SO much fun. I'm excited to get started on one very soon! Emily asked me to channel my inner child and decide what quilt I would have wanted as a child. It wasn't hard since I am still a kid at heart!! 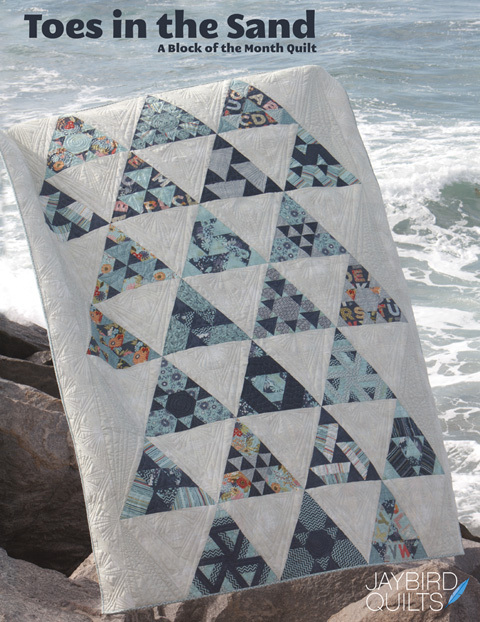 I love this Ambrosia Quilt! You may be wondering why I have my eye on two "boy" quilts?... My Brother & Sister-in-law are expecting a third child very soon!! Elijah and Aliyah are going to have a little brother. 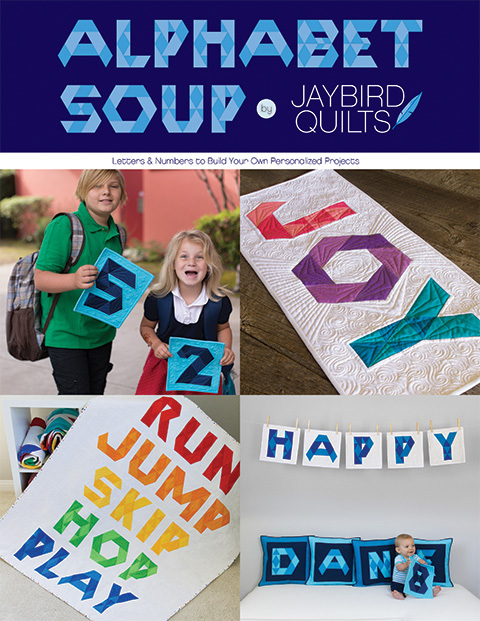 October 5 (Friday) — Jaybird Quilts... you are here! It's a mystery! All winners get a copy of Pixel Play, but what will your box include? Maybe a Robert Kaufman color card? Or some Aurifil 50wt thread for piecing your pixelated world? Or maybe C&T Publishing's Ultimate 3-in-1 Color Tool? Or maybe some Carolina Patchworks patterns? Every box will be a surprise -- just like Holiday time when you were a kid! 2. In your comment tell me if you think I should make Pixelville or Deception Cove! You have till 9PM PST on Sunday the 7th to enter. Deception Cove is the coolest! :-) You should make that! Tough call, both are great but I say go with Deception Cove because I love the sea theme and would like to hear how it turned out. Congratulations to your brother and sister-in-law and to you too! I would have to choose Deception Cove. Thanks for the giveaway. They are both awesome, but I would do Pixelville. How can you not make Pixelville?! How awesome!! I think Deception Cove is very cute, but what I like about Pixelville is that it would be a quilt for the baby and when he grows older he can play cars on it as well as cuddle in it. I would pick Pixelville because it doubles as a playmat for playing with cars. Thanks! I'd love to see your version of Pixelville. it's so cute! Pixelville , of course! I might make it right along with you for my three grandsons.....wouldn't that be fun?!! Pixelville is more practical, but who doesn't love a pirate? Pixelville...my grandsons love their little cars...too much fun!! I forgot to include my vote for Pixel ville. Thanks. I think Pixelville, because you can wrap yourself in it, or play on it - double duty! Thanks for the chance to win! Definitely Pixelville! My boys would have loved that quilt, running their cars all over town. I think pixelville would be a great choice for a little boy's quilt. It looks as though it would provide hours of playtime. 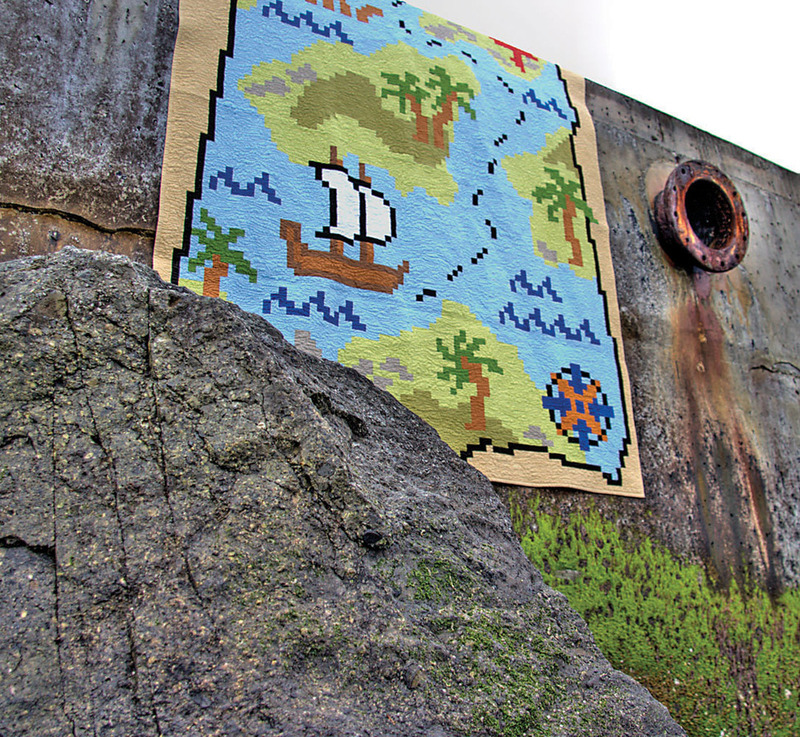 Love Deception Cove, but I think I would go with Pixelville, how cool to play cars on your very own quilt! 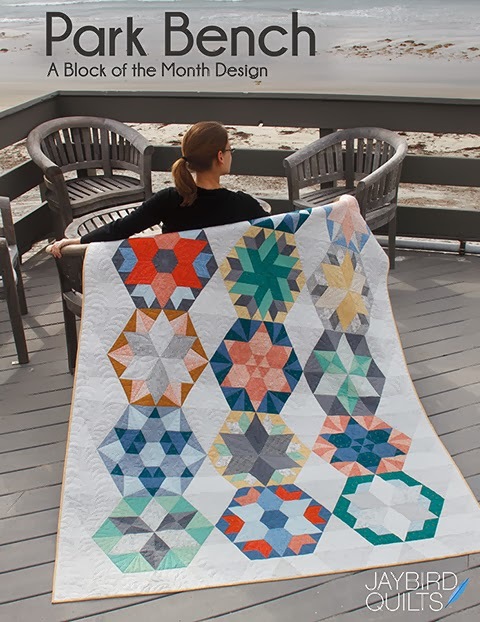 These quilts look so fun, thanks for the chance!! I love Deception Cove, I can see the Lego ships being built to sail around the islands and the Playmobil folks digging for the buried treasure. 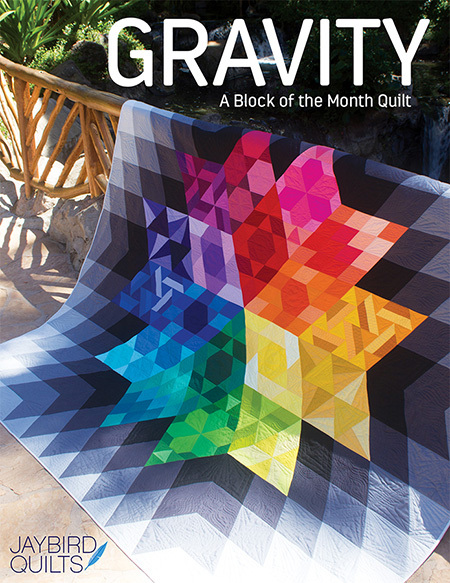 I think both quilts are so cute, but I would go with Pixelville. Congrats on an upcoming nephew!! I would go with Pixelville. Little boys will love running their cars and trains over it. My vote is for Deception Cove! What a fun way to play! 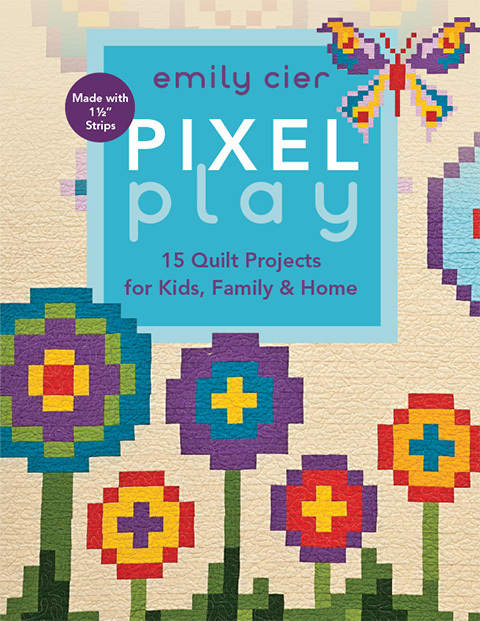 I've been thinking about my own pixel quilt of late, and this book is perfect. I vote for deception cove. It is so cute! 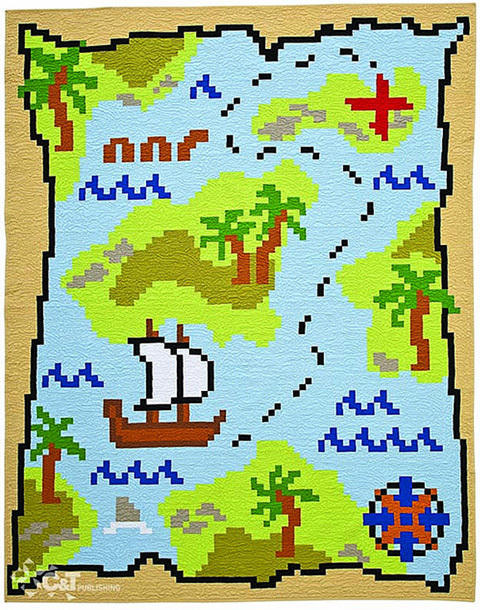 I would make the Deception Cove quilt - a pirate themed room for a little boy would be fun! I would definitely do pixelville. Even though my son is 14 now, I think I'd make it big enough for his bed - he'd love it!! Pixelville! Looks like fun for playing. They are both awesome, but my boys would have a lot of fun with Pixelville. 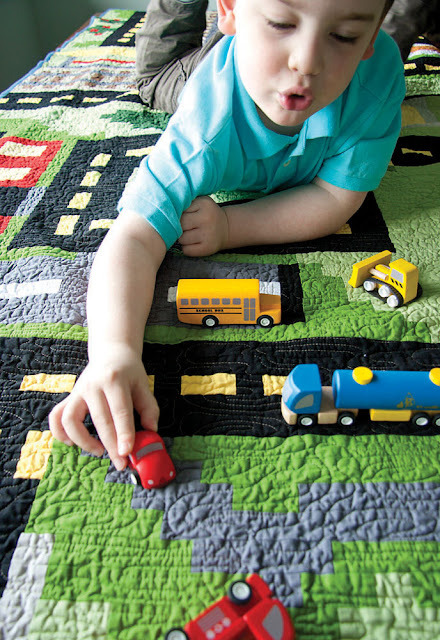 It's not just a cute cozy quilt - it's a play mat too! It's more likely to be spread out on the floor being used than lying in a heap next to their beds. I love both, but Pixelville seems like something to be used over and over again... Thanks for the chance to win! Pixelville for sure! That's the one I have my eye on and as the mother of three boys I can definitely say it will be used for many years to come. Pixelville is my choice, its a play mat, its a blankie, its entertainment all wrapped in one. I would definately make a Pixelville quilt. I think they both look great though. Congrats on being an aunt again. I vote you go with Pixelville! That quilt has the potential for hours of fun for any boy or girl!!! I'd go with Deception Cove. It's way cute and I'm a sucker for adventurous things! I think Pixelville-my son would love something like that for playing with his cars. I had a play mat like Pixelville for my boys. They spent hours on it but it always had to be put away, not thrown on the bed to sleep under. What a great idea. Thanks. Definitely Pixelville! It's so darn adorable! I really love the Pixelville quilt! Pixelville - so he can race cars and trains on it! Pixelville all the way! When I have a little boy, I want to make it for him to play with. Definitely Pixelville - I'm partial to that because my dd is pregnant with our third grandchild and it's a boy. Thank you for the opportunity to win! Those are my two favorites, too. So hard to choose but I'll say Pirate's Cove. OMGosh! I'm loving Deception Cove! We are having our first (a boy!) in December and I'm totally crushing on that one. Well not sure which one you should make for a baby but I want to make Pixelville for my one year old grandson. I would love playing cars on it with him. I love it..
Pixelville! It's so cute and fun. You could make both! One for the two older children and one for the new baby. :-). If you only do one though, I would choose Pixelville, so they could all play with it later. Thanks for the chance to win. I love mysteries. Pixelville, looks so awesome, in fact I would like to make it, so you make it first and tell me how easy it is and then I will give it a go! I think both are awesome, but I will choose Pixelville. Pixelville for sure. It's a cute quilt and a toy. Win. Win. Thanks for the giveaway! I love both, but the idea that they can use the Pixleville quilt to drive cars on is awesome! I love the deceptive cove one! What a fun idea and book! Pixelville for sure! Boys love cars! Congratulations on becoming an aunt for the 3rd time. Thanks for the chance. my vote is for pixelville - cannot go wrong with boys and their cars! I think that would be a great quilt for the little guy! Love the pixel idea. I hope I win! Well, I would choose Deception Cove, probably because I like the colors! I would make Pixelville first!!! With all of the awesome pirate fabric out Deception Cove would be my first inclination; however Pixelville would be a ton of fun to play on with the kids. I love both of those for little boys but I would choose Pixelville so he could drive his little cars around on it. My son loved to do that when he was little! His quilt wasn't so super cute though -- it was just pre-printed fabric with a town and roads. HI! I THINK YOU SHOULD MAKE 'PIXELVILLE'! SO NEAT! THANKS FOR SHARING! I think I would make Pixelville. That looks like it would be a lot of fun to play with cars on. I think I would go bonkers piecing either of those, but if you can hack it I'd go with the pirate themed one. Arrrrrrr! Deception Cove is awesome, but I think you should make Pixelville because it will get use to being played on and snuggled under! Tough question! They are both so fun, but I vote for Deception Cove. Pixelville would be my choice, but they are both great quilts. What fun! 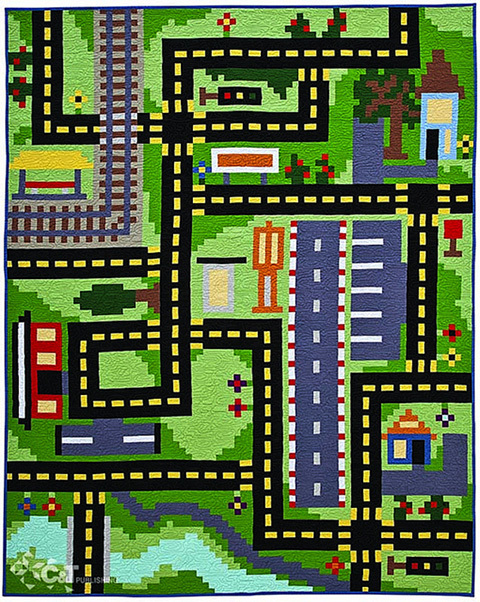 I love both quilts, but Pixelville looks like tons of fun to play on! Pixelville is my choice (and my favorite)...love it!!! Thanks for the sweet giveaway. I would say Pixelville. But, since your "kindof" quilty why not make them both! One for the new baby and something special for the Big Brother. But then big sis would need something too....How fun!! Pixelville!! I love that quilt! Pixelville would receive lots of love. I had a panel that was similar that the kids used quite a bit. Knowing how much my son loved playing with his cars and trucks when he was little, I definitely think you should make Pixelville! I can just see your nephews running their vehicles all over this quilt during playtime. Deception Cove is so neat, but I can see a little boy with toy cars having a BLAST on the Pixelville. I love the cove one, but I think a little boy would love all the roads. I say deception cove! Such an awesome design! I like the pixelville! Ilove how you can not only cuddle with the quilt but you can play on it too! Happy quilting and thanks for the opportunity to win! Pixelville is so cool. Make that one! Thanks for hosting, and thanks for the opportunity! I think you should make deception cove, because a person can never have too many pirate quilts. Arrhhh matey! Pixelville! I have always loved play towns like that. My vote is for Pixelville! Thanks for the chance to win! I totally love them both, but Deception Cove is wonderful - think how it'll spur on tales of swashbuckling and pirates and treasure! Love this book! I think you should make Deception Cove. What little boy doesn't want to be a pirate?! Definitely Deception Cove. Love this book! Thanks for the chance to win. Pixelville, it's the perfect play mat! Deception Cove looks amazing. Might have to make one myself. Thanks for the chance! Deception Cove as it will be good for all 3 of the kids. I would pick Deception Cove. Congrats to your family! I would pick Deception Cove because it's not like anything I've seen before. I love Emily's books and patterns. I would say Pixelville, but they are both cute! I'm voting for Pixelville! My favorite. I would recommend Deception Cove because it is a little more unusal. Very difficult...my boys aboslutely love their cars and tractors, but they already have a playmat with roads on it. The newest craze is the kiddies pirate shows on TV, so I think i will go for Deception Cove. 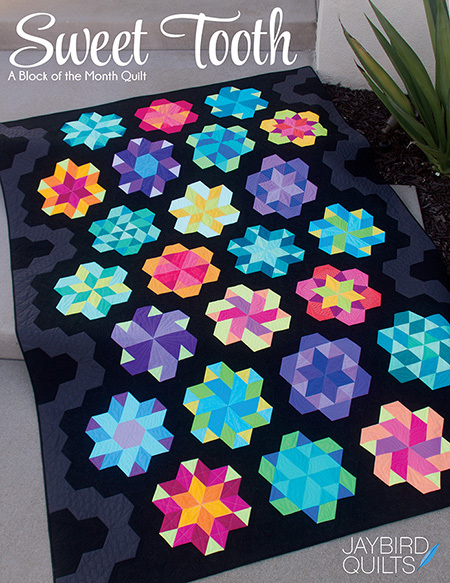 They are both gorgeous quilts. I really like Deception Cove! Terrific giveaway! Pixelville hands down! I have two tiny grandsons for whom I would make this in an instant!! I would say Pixelville, it would keep them busy playing with their cars. Pixelville it is. I can just see big brother and sister playing with their new brother now. Pixelville! It would be so much fun to build on. I really like the pirate one, but I think a boy would love Pixelville. You can build lego houses and put them on there, you can create a whole city from your imagination. That's what every child needs on the floor in their room or to snuggle up with and dream about. They really are so cool. 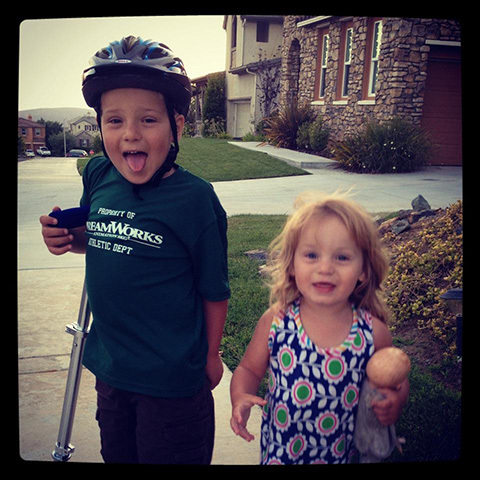 I wish my kids were small again. Deception cove is definitely the coolest! Pirates are always good :) thank you for the great giveaway! I love the Pixelville! I can just see our grandson playing on it. Deception Cove would be great for children...they love pirates! Thanks. Love Deception Cove, but I think Pixelville has a better chance of being played on the most. 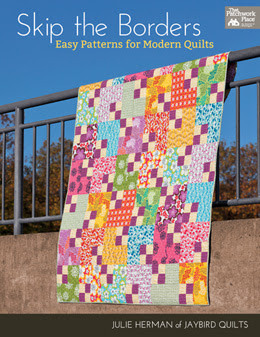 What a fun quilting book!!! I've NEVER seen quilts like those before. You must make Pixelville!!! It reminds me of the car rug my son has, and he drives his Hotwheels and Matchbox cars on it quite often. :) So much fun!!! I think you should make Pixelville, for sure! I am excited about this book! I just made another pixel-y quilt and now I am into this. 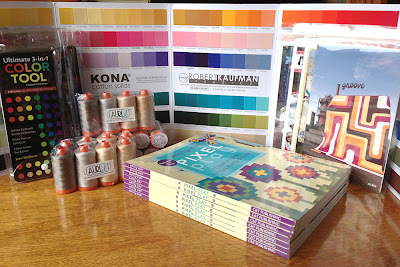 I would so make Pixelville if I was lucky enough to win this wonderful book - I LOVE IT. Thanks so much for the chance to win this wonderful book. You are ambitious! I vote pixelville all the way! I think you should do both. :o) Deception cove for the new baby. Sometimes the older kids feel a little left out when the new sib makes their big arrival into the world. Pixelville would be a wonderful play world for the older kids to share and enjoy their cars, trains, and wee dolls on in thier own makebelieve world. I love Deception Cove but I see more use during playtime with Pixelville. OMGosh, I had not seen this book. So darn cute! I really like Pixelville...you should make that one...or both?? Congrats to your brother and his family. I think you should make Pixelville, then we he get's a little older he can play with his trains and hotwheels on it. I love the cove! Thanks for the Opportuniy! Pixelville. Thanks for the great giveaway! Pixelville. I know a certain little boy who would love it. PIXELVILLE! It looks like it would take looooooonger, with all those varied colored pieces, but it would be so cool for your nephews. Love to win the book. It's a very tough decision but I think deception cove wins .....just. Both are awesome quilts. I think you should make Pixelville because once your nephew is old enough, he will have hours of fun using the quilt to play with his cars. Hiya! Deception Cove would be my pick. And when he is 2, Pixelville would be a perfect birthday gift, along with some cars and people to play on it with. Lol. They're both neat, so either would be a winner. Congrats on being an aunt again too. Thanks for having the giveaway. Blessed be, hugs!!! Oh Pixleville for sure!! Pretty cool giveaway - I love a mystery :) Many thanks for the chance!! If I had that book, I'd be making Deception Cove...I love it! Deception Cove...it would be a great baby quilt for a boy! I would do pixleville - it has more "play mat" abilit - but you could always go double sided and do one on each side??? Since all my nephews love cars, I'd go with Pixelville. I really like Deception Cove! These quilts are all so cool! Pixelville! Because both children would love to play "city". at least that is what one I would make. I love the idea of quilting a play mat. My quilts for my daughter usually get used for "tea time." Maybe I should make one with the table already set! I vote for Pixelville! :-) Although Deception Cover is awfully cute too! :-) Thank you for the chance to win!! This book looks so fun! I was going to say Pixelville but Deception Cove would be totally different from what other kids have he could play pirates on it when he gets older. I think I would do Deception Cove :D Thanks for the giveaway! Deception Cove seems like fun. I think you should make pixelville. The two older kids will love it, and in time the baby will too. Or make it for the two older, and a regular baby quilt for the baby. Pixelville!! What a fun quilt!! That's tough.... I like the look of deception cove...treasure maps! But pixelville would be great to play with toy vehicles on. Ummmmm....so tough....ok.... Deception cove! Pixelville would be so much fun for him to play on when he gets bigger. Deception Cove is nice, but I think it would be for an older boy. I vote for Pixelville! So cute! I think you should make the Pixelville quilt. I think any little boy would love Pixelville. Congrats on your new nephew! That is really exciting news! My brother and I would have played with Pixel-ville when we were little! I know that I want to make Pixelville - maybe should too? Pixelville, then later Deception cove, they are both great. 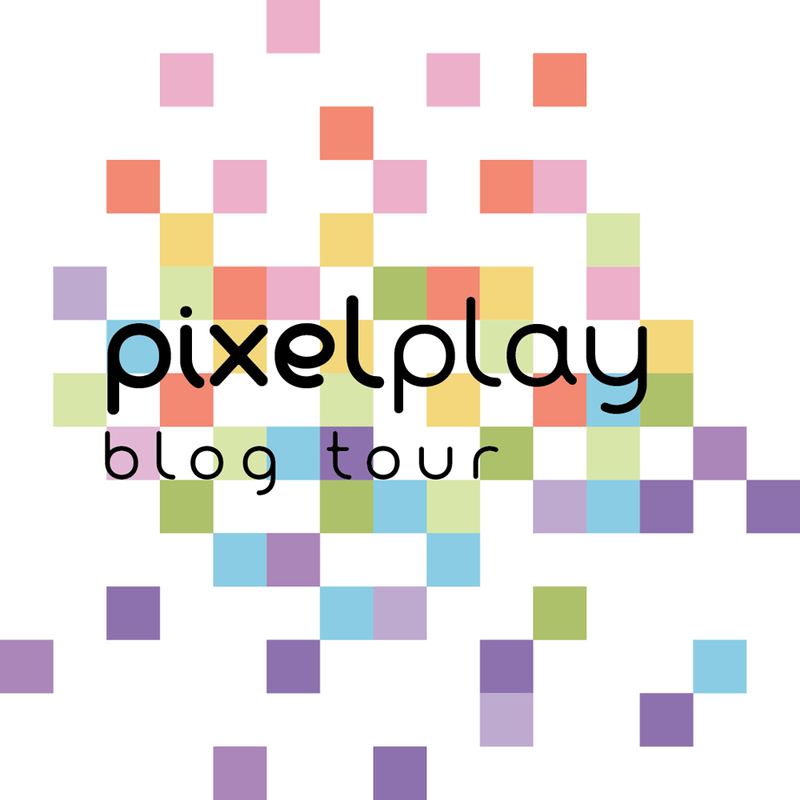 Deception Cove for the baby, Pixelville for Elijah and Ambrosia for Aliyah ! Nice how I just tripled your workload eh?! Love all the quilts you showed! Pixelville unless you have a road map rug already. 'deception cove' would be a very good choice! having spent a whole lot of years onthe water, boating, this looks like it would be the most fun! That is a tough call - but I think that Pixelville would be great because its so interactive with the kids - just grab a car or truck and start playing. Deception Cove for sure. How could you do anything else?? I think this book is fantastic! I so want a copy! I think you should make Deception Cove. Pixelville for sure. That way all of the kids can play on it together. Hi Julie! I love the Pixelville and Ambrosia! 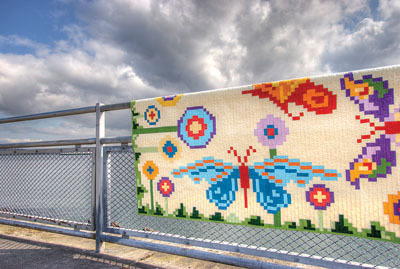 This is great new idea to create pictures on quilts! Absolutely want to try this! That's a toughie!! Little boys will like both--I think I'd go for Pixelville so those cars have a place to race! Thanks for the chance!! Congratulations on your news of a new little nephew being on the way. I think you should definitely make Pixelville - as a mum when my third baby arrived there were times I wanted to other 2 to play quietly and I am sure Elijah and Aliyah would accomodate their mum if they had that awesome quite to play on. Go for it! How fun! What cute patterns. I'd love to see Deception Cove made up.